Sometimes bikes just need to be featured! DNA employs the front-end geometry of a road bike, affording high-speed stability and effortless cornering on asphalt. Its rear-end geometry mirrors that of a cyclocross bike and features disk brakes, so that riders can speed over uneven terrain and feel secure on steep gravel descents. 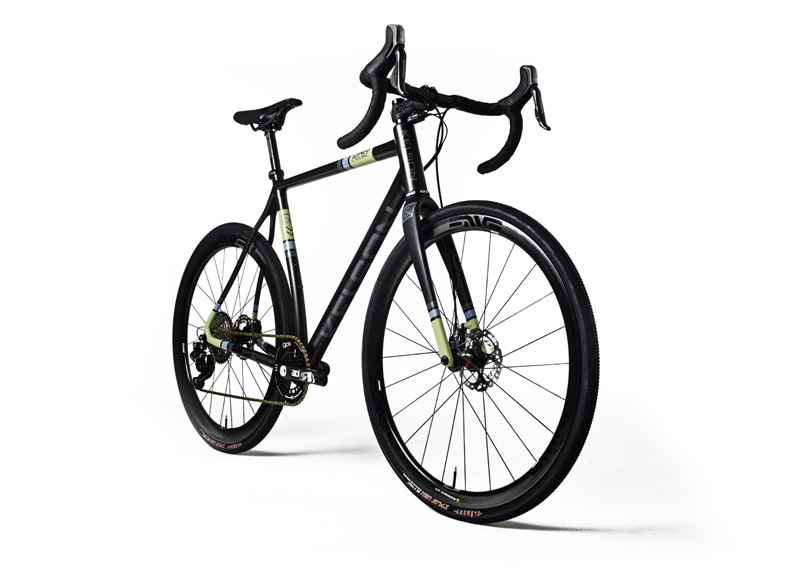 DNA’s unique design allows riders to change between road wheels and cyclocross wheels on a single carbon fiber frame.